Well its almost Fathers Day and if you are having a hard time finding that perfect gift – here you go. Get him a gift certificate to go fishing with me and he can use it anytime, so just give me a call 918-964-0049. Also its getting to be that time of the year the 4th of July. I’m already getting calls about that weekend to go fishing so you better hurry. Alright, let’s talk about the fishing. 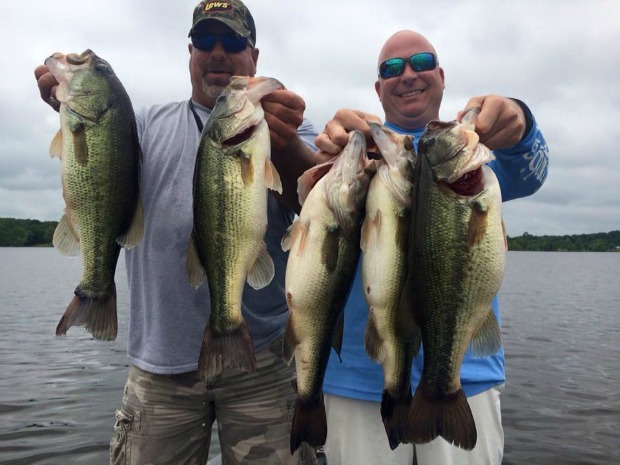 Large mouth – I have had the best week of fishing for large mouth that I have had this year. Had a guide trip with a young man named Clyde Glenn from Texas and our 5 fish was 22 lbs. We had caught 46 fish that day! Keep an eye out for those big gizzard shad jumping – that means the bass are feeding. Try a swim bait and crankbait, but my best tool was a hard head with a biffle Bug, and a jig. White bass is also unreal. I had trips this last week and limited out every trip. Try the silver rainbow minnow from Littlefields tackle, nothing like it. Crappie – been catching them in deep water near the bridges. Catfish – been catching a lot while using my spoon for white bass. Spoonbill are jumping everywhere so be careful. PreviousDo You Know About W.R. Holway Reservoir?